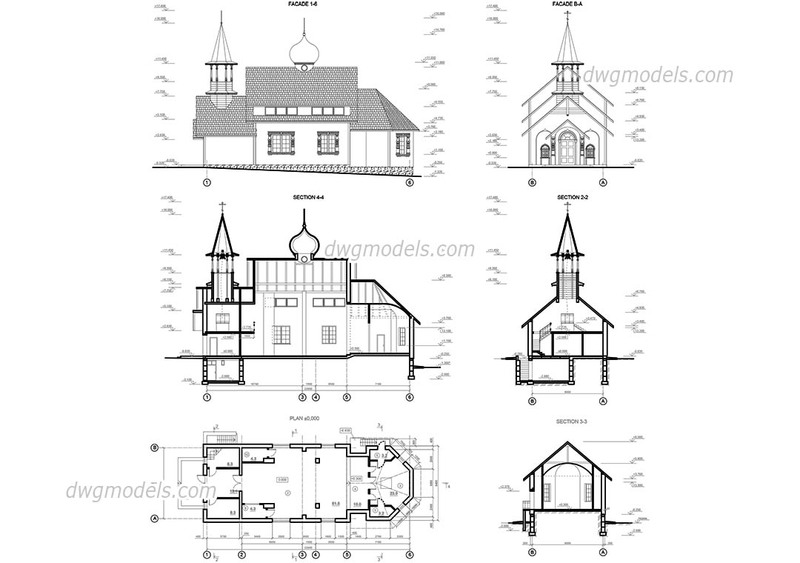 The project of a Church. 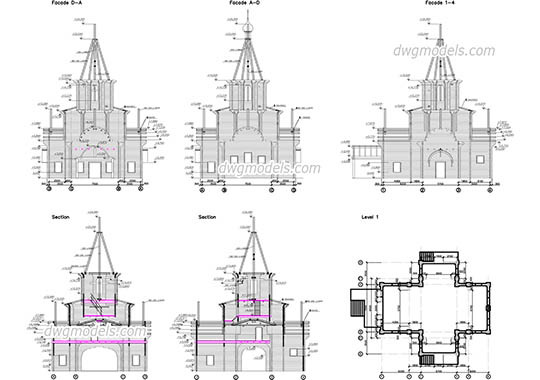 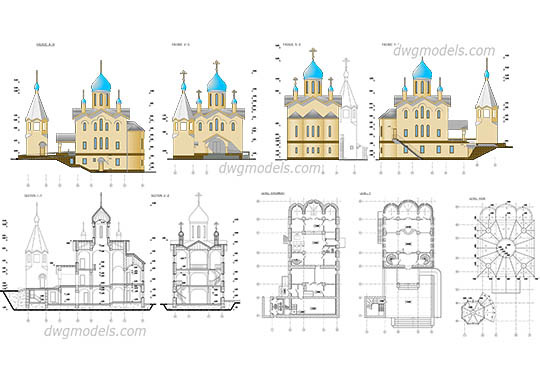 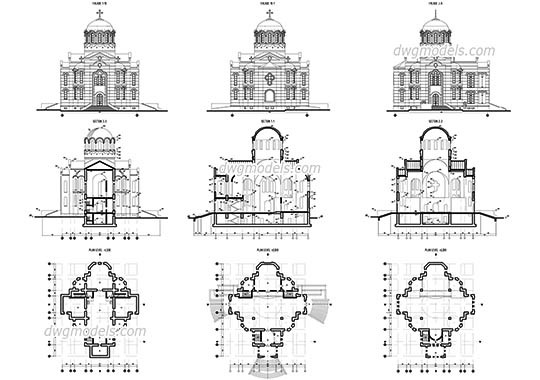 These drawings present a cross-section, ground plan and facades of the church in DWG format. 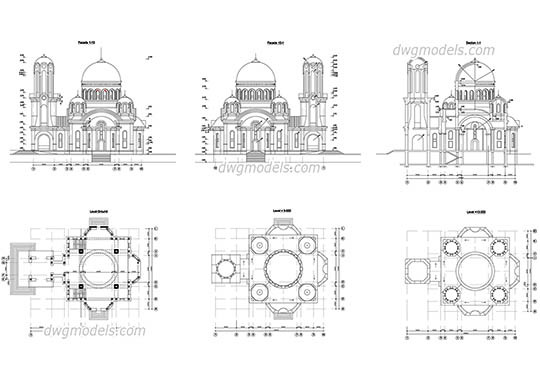 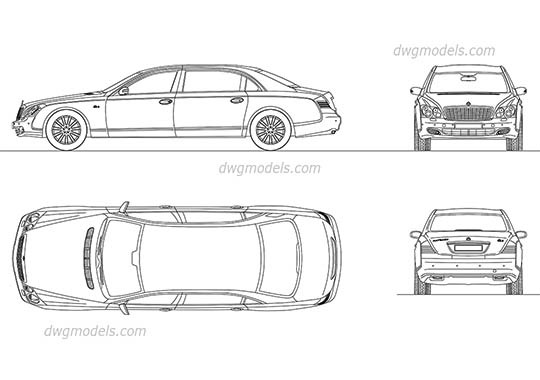 The AutoCAD drawings in the scale 1:10 mm.